Backstage is dedicated to helping students find great talent for their projects. From leads to extras, indie films to web series — their services can help you find the actors, dancers, singers, models, musicians, comedians, variety performers, and crew. UCLA Extension students and alumni are eligible for free access to all of Backstage’s state-of-the-art casting tools, a Talent Database featuring more than 150,000 actors and performers, and additional entertainment-industry resources. Create a free Backstage casting account by clicking the “Post a Job” button on any page of Backstage.com, or by visiting the offer page here. Then, when posting a job/breakdown/casting call, UCLA Extension filmmakers can enter a special promo code at checkout to waive the regular posting fees. To redeem a unique promotional code, please email entertainmentstudies@uclaextension.edu. 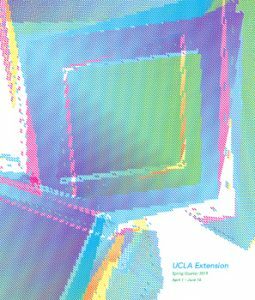 UCLA Extension students are eligible for a discounted price of $99.99 for Final Draft 10. To receive this discounted price, click this link and include the code uclaxpro17 under “school” when you check out. Please note that you will also need to provide proof of enrollment from the current quarter. Acceptable forms of proof of enrollment are: Class Schedule, Official Letter from College, Transcript, Tuition Receipt, or a Student ID Card. Panavision believes in helping students and beginning filmmakers achieve their dreams. More than 25 years ago, Panavision launched the New Filmmaker Program, an ongoing grant program that loans camera packages to film schools, training programs, and independent filmmakers – at little or no charge. Panavision’s commitment to the industry’s future provides student and beginning filmmakers the opportunity to work with professional grade equipment early in their careers. The New Filmmaker Program loans film or digital camera packages (based on availability) to filmmakers for student thesis films, “low-budget” independent features, showcase reels, Public Service Announcements, or any other type of short not-for-profit project. The New Filmmaker Program has served hundreds of aspiring filmmakers. To apply, please visit the application website. For any additional questions regarding Panavision’s New Filmmaker Program, please call 818-316-1000. Raleigh Studios is one of the premier independent studios in the country. With verification of enrollment, students can enjoy a discount when they book film screening rooms at Raleigh. Please call (323) 871-5649 for more information. UCLA Extension students qualify for academic pricing on Red Giant’s products. For more information, please click here. Please note that these discounts require a BruinCard. For information on how to obtain a BruinCard, please visit the UCLA Extension website here. For UCLA Extension courses that require Movie Magic software, students can receive a special rate on Movie Magic Budgeting ($149) and Movie Magic Scheduling ($149). Please check the Entertainment Studies current course catalog for qualifying courses and email entertainmentstudies@uclaextension.edu for information on next steps. Students with a BruinCard and confirmation letter from the Entertainment Studies program are eligible for student discounts on costume rentals. You must handle payment at the time of rental and leave a deposit. Cash or credit card only for payment and deposit—no student checks will be accepted. The security deposit is equivalent of the replacement value of the clothing. Student pricing is 50% off the regular two week rental rate. For details and rental agreements, please call the Student Liaison at (818)777-2722. You can also visit the Universal Studios Costume Rentals website and review the student rental policy for more details. UCLA Extension students enrolled in either the Film Scoring or Independent Music Production certificates are eligible for a 50% student discount on virtual instrument products and other compositional tools and software from Cinesamples.com. For more information, please click here. Please note that these discounts may require proof of enrollment or a BruinCard. For information on how to obtain a BruinCard, please visit the UCLA Extension website here. UCLA Extension students enrolled in either the Film Scoring or Independent Music Production certificates are eligible for a number of discounts on virtual instrument products and other compositional tools and software. For more information, visit EastWest Sounds Student Page. Additionally, EastWest Sounds offers Composer Cloud subscriptions with access to 9,000+ virtual instruments at a discount to students. The Hollywood Reporter offers UCLA Extension students a discounted 6-month Subscription for $59. Subscriptions include access to both the Print and iPad (or Zinio digital) editions. To subscribe please visit the student subscription link or contact The Hollywood Reporter at (866) 525-2150. Variety offers a $99/year rate for students. To redeem, please email entertainmentstudies@uclaextension.edu and we will provide you with the promotional key. With the promotional key in hand, call the Variety subscription department at (800) 552-3632 for next steps.